the adventures of tartanscot™: "Constant, Total Amazement . 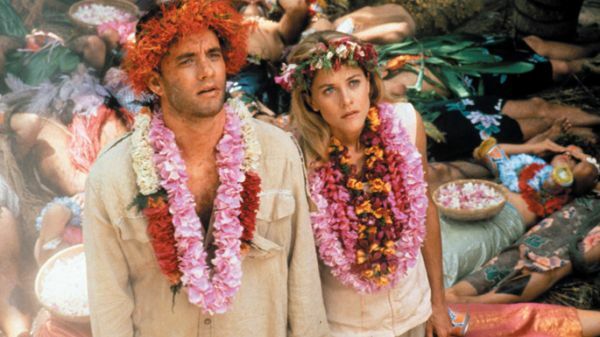 . . "
Tom Hanks and Meg Ryan, in "Joe Versus the Volcano"
You can file this one under - 'random thoughts.' Below is possibly the most insightful 27 seconds in film history. That is a wonderful scene, one of my favorites. Probably the best Hanks / Ryan movie too. Thanks for sharing a great random thought Scot. So nice to see how Meg Ryan used to look before she ruined her face. Yes, so few are awake. Thanks for this Gurdjieff ian reminder! Let's be in amazement and awe! I loved that movie... especially the luggage... and the shopping, if I remember it correctly. Great clip from one of my favourite movies. I adore the "old Meg Ryan" and can only echo the other commenters thoughts on how she looks nowadays. It may sound conceited but I'd like to think I'm one of the few people who are awake, at least I'm one of the few who likes JVV. It's nice to know there are other fans of Meg and this film. You made my day. You're the best. It's just one of those kind of obscure films that has moments for great brilliance. I still remember seeing this when *i think* I was still in college. And loving it!